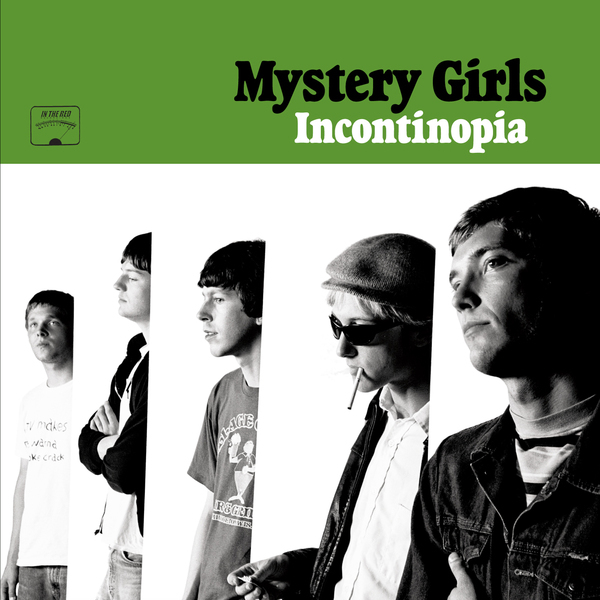 The third album by Green Bay, Wisconsin's Mystery Girls, Incontinopia is an abrasive, yet addictively tuneful garage rock opus. "Recorded a couple years ago, Incontinopia has sat on the shelf while the band relocated and readjusted. Like a fine wine, Incontinopia has aged beautifully-its sound is rich, full, and earthy. Adding a dose of psych weirdness to their patented garage-punk-R&B sound has resulted in the band's finest moment. Vocalist Casey Grajek's raw-throated vocals have never sounded more powerful and guitarists Jordan Davis and Mount Mathieu D'Congo's dueling solos harken back to the MC5 and Yardbirds. This is great stuff that sounds immediately classic. Culled from several sessions and stacks of recording tape, Incontinopia was assembled by bassist/drummer Mike Zink, whose abstract approach to editing has given the album a weirdness that brings to mind Head-era Monkees colliding with Funhouse-era Stooges."